杨成刚, 赵静一, 姚成玉, 等. 液压有源测试在锻造机液压故障诊断中的应用[J]. 哈尔滨工程大学学报, 2019, 40(2), 380-386. DOI: 10.11990/jheu.201708025. YANG Chenggang, ZHAO Jingyi, YAO Chengyu, et al. Application of hydraulic active test in hydraulic fault diagnosis of forging machine[J]. 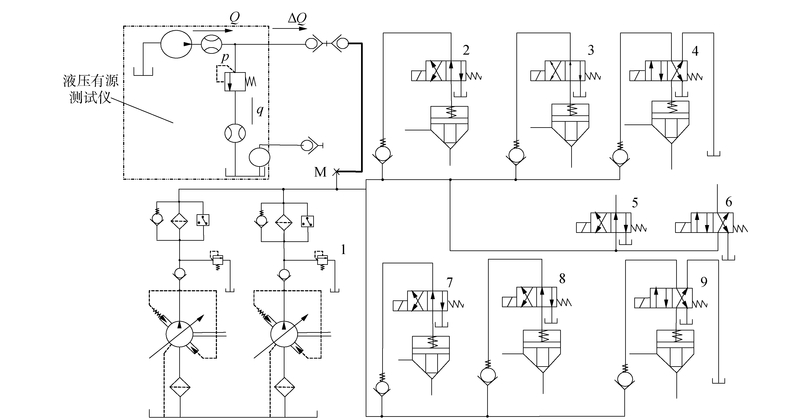 Journal of Harbin Engineering University, 2019, 40(2), 380-386. DOI: 10.11990/jheu.201708025. Abstract: With the rapid development of hydraulic technology, the hydraulic system of a large forging machine is becoming increasingly complex. A fast and accurate approach for online detection is urgently needed to address large economic losses caused by continuous internal leakage of the hydraulic system. This study proposes a method of fault diagnosis for the forging machine based on hydraulic active test technology. 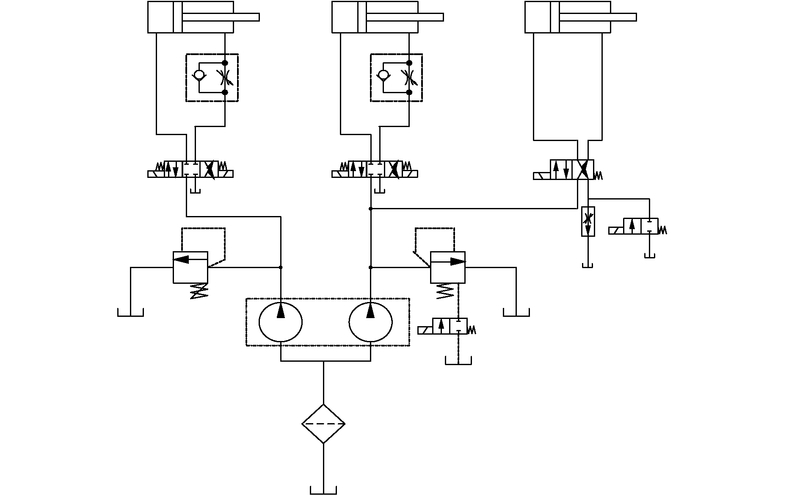 A leakage model and an online detection model of an open hydraulic system are built. The total leakage of this hydraulic system is theoretically analyzed to derive the total sum of leakage of all control components of the main oil route and the leakage of a branch component. 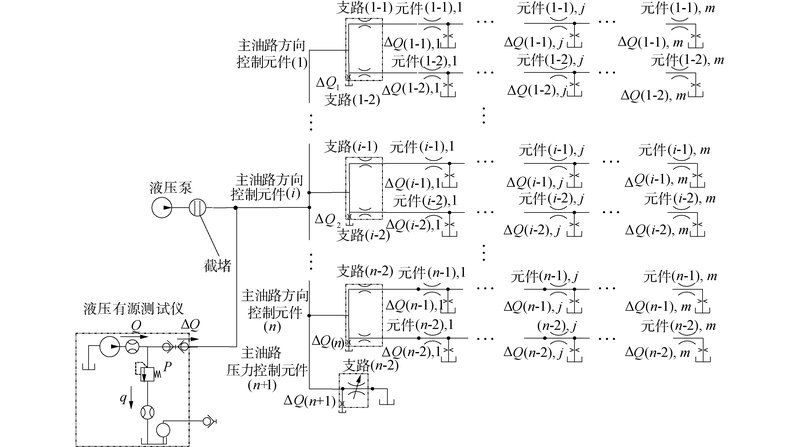 Furthermore, the detection method for the leakage of the main oil route control component and that of the branch component is theoretically analyzed. By conducting applied research on the deficiency in pressure of the hydraulic system of a 1 250 t forging machine, the researchers verified the effectiveness of the proposed method in detecting the internal leakage failure of the complex hydraulic system. 张玉存, 马睿, 付献斌, 等. 基于拓扑传递的耦合机械故障特征提取方法[J]. 中国机械工程, 2012, 23(4): 435-438. 苏欣平, 聂广坤, 郭爱东, 等. 基于二级模糊综合评判的液压系统故障诊断研究[J]. 中国工程机械学报, 2011, 9(4): 482-486. 谷立臣, 刘沛津, 陈江城. 基于电参量信息融合的液压系统状态识别技术[J]. 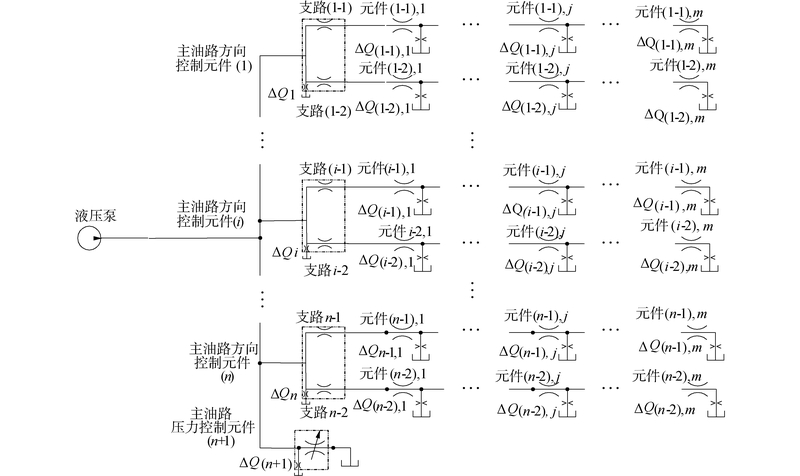 机械工程学报, 2011, 47(24): 141-150. 蒋玲玲, 张莉. 某液压缸活塞杆连续抖动故障分析与排除[J]. 机床与液压, 2017, 45(2): 163-164. 杨成刚, 赵静一.便携式有源液压测试仪及测试方法: 中国, 200910148231.6[P]. 2011-06-15. 周梓荣, 彭浩舸, 曾曙林. 环形间隙中泄漏流量的影响因素研究[J]. 润滑与密封, 2005(1): 7-9, 19.